It's more flying and less visiting, at least for this week. I'm tired of Dubai Airport. This is not in any way a criticism, far from it in fact. I'm just bored of it. 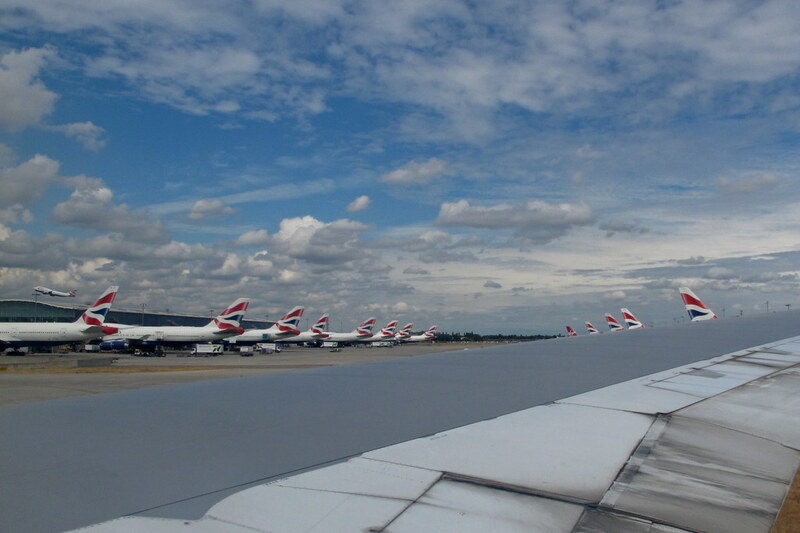 For this trip to France, I chose my old friend British Airways so I stopped at Heathrow - a refreshing change. Our local park is visible in the above photo, the green space behind the five tall buildings. It was funny being so close to my family and unable to meet them. I will, God willing, see them on Friday. 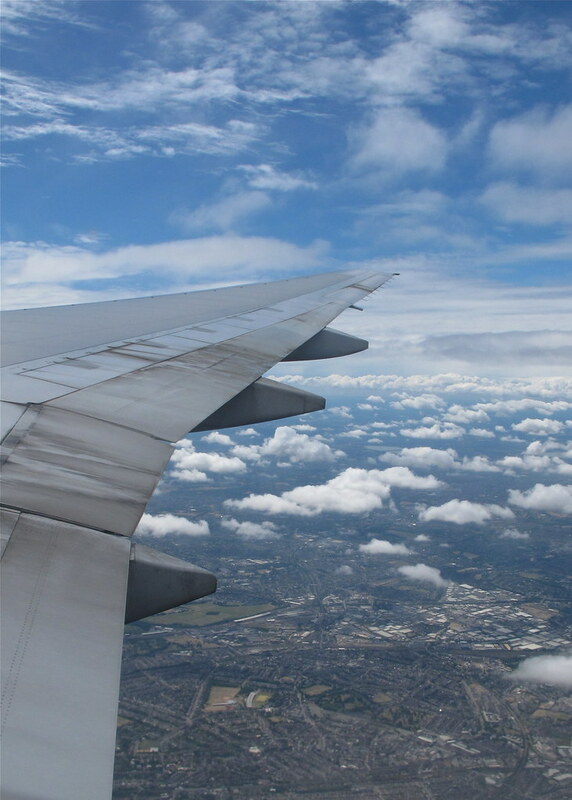 I take a lot of 'wing shots', far too many to share here. These however are a little more special, due to the fantastic clouds that decorated the sky. They were almost at every altitude, adding a sense of depth to the heavens - something that's almost impossible on a clear day. The effect makes a simple image, like the one below, look a little more interesting. 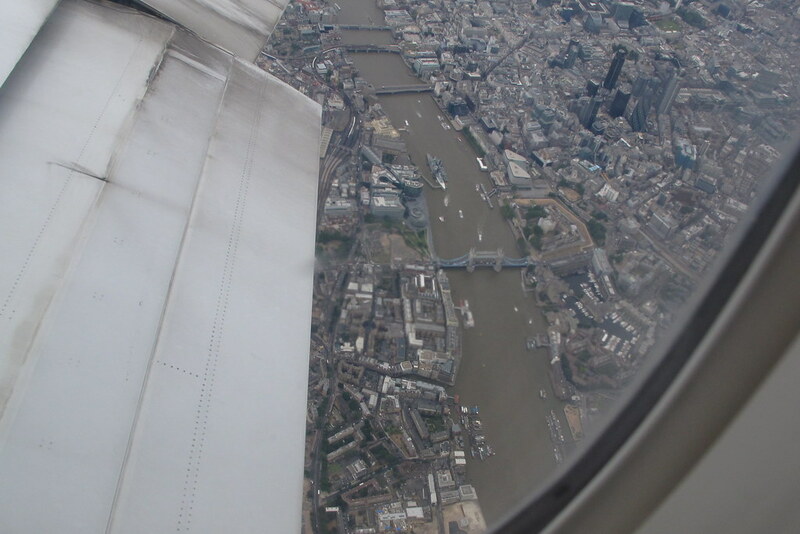 The approach offered some wonderful views of London. This week, I'm catching up with colleagues and management at our head office. 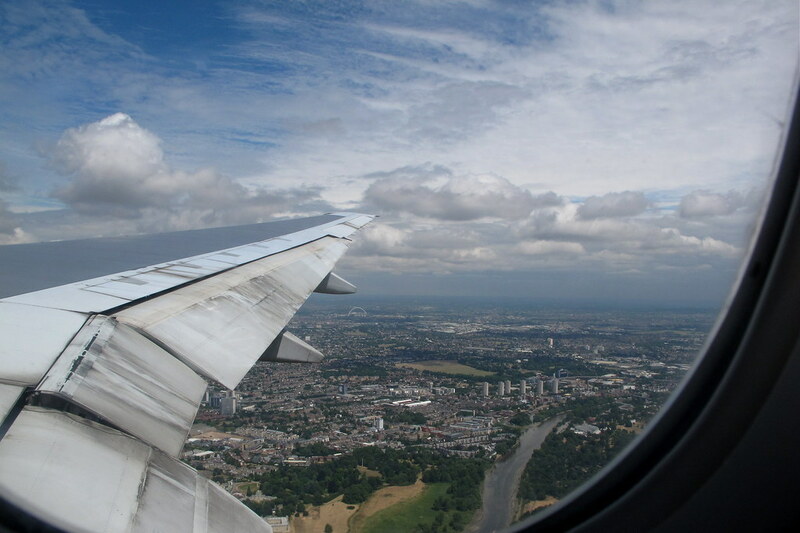 Next week, I'll be visiting customers in the UK. My drive to Wales will be an interesting one. I have two meetings there so I'll probably spend a night in Pembrokeshire. My last visit to Wales was a school trip back in 1989. It was back then, in the magical Snowdonia, that I discovered my love of photography. My camera was the family's discarded one: a broken Ricoh. The film compartment was held closed with black tape. I so wish I had kept it!